This post is part of a virtual book tour organized by Goddess Fish Promotions. Nan Dixon will be awarding a $25 Amazon/BN GC to a randomly drawn winner via rafflecopter during the tour. Click on the tour banner to see the other stops on the tour. I think it was hard to make sure Carolina stayed sympathetic, even after she stole something from the Fitzgeralds. (Well, returned a family heirloom to her mother.) And trying to make sure her mother didn’t run over her with her crazy demands. Seeing Fitzgerald House and the Fitzgerald sisters from an outsider’s point of view. Normally everyone loves the B and B. (The exception being Courtney, from UNDERCOVER WITH THE HEIRESS. But that was only for a while.) But Carolina has been taught to despise everything related with the Fitzgeralds. My books revolve around families and friends who develop their own family connections. And of course there is the angst and joy that comes with those families. One reader talked about SOUTHERN COMFORTS and said: “It’s about caring, trust and loyalty; and relying on those you love to help make your dreams come true." I think that is what inspires me, because my own family is so supportive. I love Nora Roberts and the way her characters hook me, but mostly I love her work ethic. And if I want to laugh and cry while reading, I just need to pick up Kristan Higgins. If I want a YA fix. I’ll read Pintip Dunn or Darcy Woods, two of my writer friends. And JR Ward and her Black Dagger Brotherhood series is an auto buy for me. I think all these writers do a wonderful job with conflict and character arcs. Do you ever get writer’s Block? Any tips on how to get through the dreaded writer’s block? I’ve been very lucky and never really felt blocked. Right now I’m struggling a little with revising the Finale on the WIP, but I think I have figured it out! Have you ever had one character you wanted to go one way with but after the book was done the character was totally different? Oh yes. In UNDERCOVER WITH THE HEIRESS, I had picked a very different archetype for the heroine, Courtney—The Seductress. But while writing the book, apparently she didn’t want to be a seductress. She became a Nurturer! I definitely didn’t know she loved being with children when I first starting drafting the book. What would you do for your family? When Carolina Castillo’s once vivacious mother becomes ill, she gives up her singing dreams and comes home to Savannah. She’d do anything for her Mamá, even work at Fitzgerald House for the family she should have been part of. She’d even steal. Carolina’s decisions make perfect sense until she comes up against the immovable rock that is gorgeous FBI agent Sage Cornell. The honorable cop sees the world in black-and-white. He would never understand the difficult choices she’s had to make, the secrets she’s been forced to keep close. And he could never love a woman like her. Or could he? A woman with gorgeous black hair had her head down on her arms. Beyond her was a small bench. Sage passed behind her, not wanting to disturb her nap. Shoving her chair back, she slammed it into him. He went down like a roped calf. “Oh, my God!” the woman cried. His head rang. Pain stabbed behind his eyes. “Are you okay?” She snatched his hand, trying to pull him to his feet. He tried to get his feet under him but stumbled. “Let me.” She supported his elbow. He clawed his way to his feet and finally looked at the woman who’d knocked him down like he was a bowling pin. She was beautiful. Her dark blue eyes looked almost black and her skin was a luscious golden-olive color. And her hair? Black, curly and long enough to play peekaboo with her breasts. He swiped at his chin to make sure he wasn’t drooling. “I thought you were sleeping.” A shard of pain slammed into him. He grasped his head and couldn’t contain the groan. “You hurt your head.” Her fingers explored his skull. The bump she was going to find was old, but her touch was cool and soothing. “Is this the spot?” she asked. 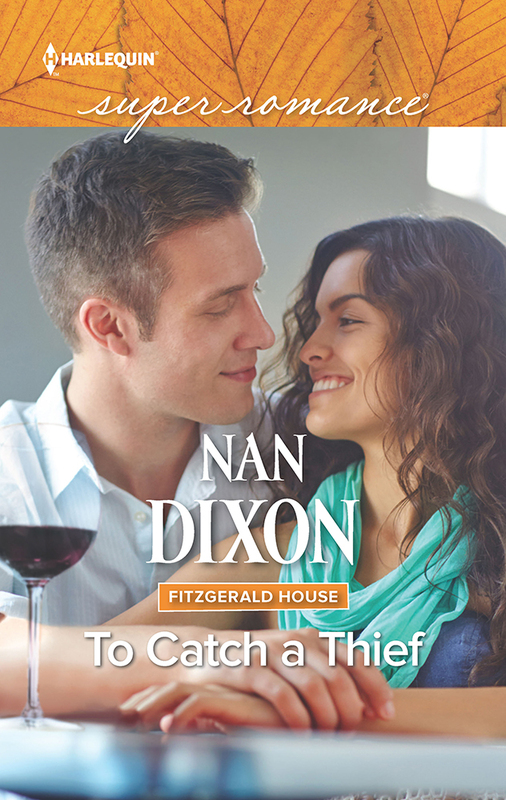 Award winning author Nan Dixon spent her formative years as an actress, singer, dancer and competitive golfer. But the need to eat had her studying accounting in college. 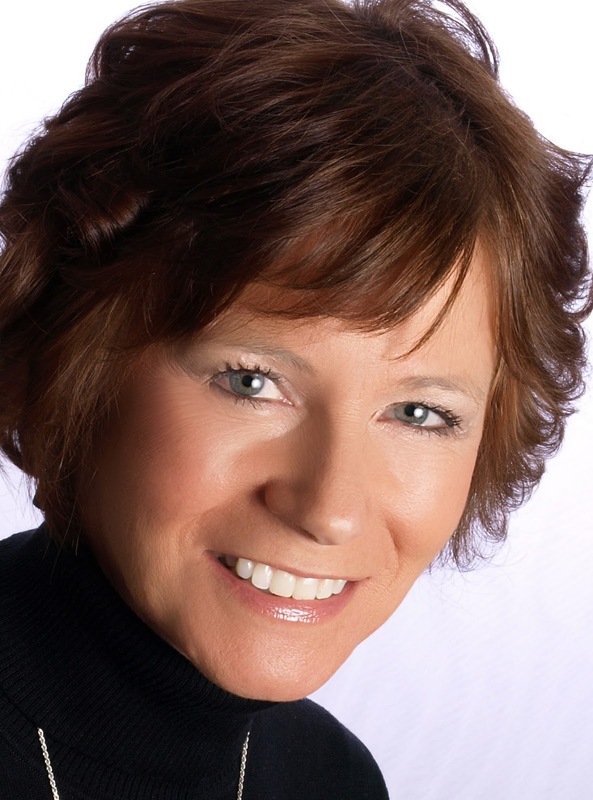 Unfortunately, being a successful financial executive didn’t feed her passion to perform. When the pharmaceutical company she worked for was purchased, Nan got the chance of a lifetime—the opportunity to pursue a writing career. She’s a five-time Golden Heart® finalist, lives in the Midwest and is active in her local RWA chapter and on the board of a dance company. She has five children, three sons-in-law, two granddaughters, one grandson and one neurotic cat. Buy the book on Nan's website. Lisa, Victoria and Rita! Thank you for following the tour!! I thought of doing a spin off from Sage's brother - but it would be set in Texas where Sage grew up. His brother is a firefighter and still lives on the family ranch. And Sages' other brother is in the Coast Guard. Possibilities there! I really enjoyed reading your amazing interview, thank you!